Android is the execution environment of applications on mobile devices. A self-turn-on program of Android system brings convenience to the user. Based on the analysis of the system architecture and the start-up process of Android, combined with the specific programming, a self-turn-on pro-gram in Android system has been achieved in simulation. At the same time three specific control methods on self-turn-on programs are put forward from the programmer’s point of view, and the safety feasible measures from the user’s point of view are proposed, to provide the basis for the analysis of Android system security. 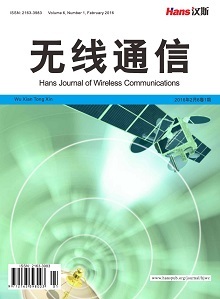 蒋绍林, 王金双, 等 (2012) Android 安全研究综述. 计算机应用与软件, 10, 205-210. 廖明华, 郑力明 (2011) Android 安全机制分析与解决方案初探. 科学技术与工程, 6, 6350-6355. 舒心, 王永伦, 张鑫 (2012) 手机病毒分析与防范. 第27次全国计算机安全学术交流会论文集，九寨沟, 2012年8月21日, 54-56. 毕倩倩 (2013) Android 手机系统病毒及保护机制研究. 第28次全国计算机安全学术交流会论文集，贵阳, 2013年10月24日, 81-83. Payet, E. and Spoto, F. (2012) Static analysis of Android programs. Information and Software Technology, 54, 1192- 1201. 禹建磊 (2012) Android系统启动程序的优化设计与实现. 硕士论文, 西北大学, 西安. 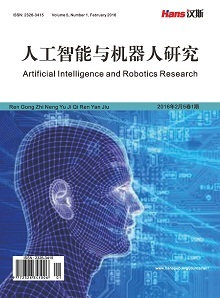 金智义, 张戟 (2011) 嵌入式Android系统的启动研究. 佳木斯大学学报(自然科学版), 4, 521-528. Nicola, C.U. (2009) Einblick in die Dalvik Virtual machine. IMVS Fokus Report, 3, 5-12. 李宁 (2012) Android开发完全讲义. 中国水利水电出版社, 北京. E2EColud工作室 (2009) 深入浅出 Google Android. 人民邮电出版社, 北京.